The Virunga Mountains (also known as Mufumbiro  ) are a chain of volcanoes in East Africa, along the northern border of Rwanda, the Democratic Republic of the Congo (DRC), and Uganda. The mountain range is a branch of the Albertine Rift Mountains, which border the western branch of the East African Rift. They are located between Lake Edward and Lake Kivu. The name "Virunga" is an English version of the Kinyarwanda word ibirunga, which means "volcanoes". Mount Sabyinyo is an extinct volcano in eastern Africa in the Virunga Mountains. It is north-east of Lake Kivu, one of the African Great Lakes, and west of Lake Bunyonyi in Uganda. The summit of the mountain, at 3,669 metres (12,037 ft), marks the intersection of the borders of the Democratic Republic of the Congo (DRC), Rwanda, and Uganda, and holds religious significance to local tribes. It also is within the adjoining national parks established by these countries: Virunga National Park in the DRC, the Volcanoes National Park in Rwanda, and Mgahinga Gorilla National Park in Uganda. The mountain gorilla is one of two subspecies of the eastern gorilla. It is listed as Endangered on the IUCN Red List, as the total population is estimated to comprise 1,004 individuals in two populations as of 2018. One population lives in Uganda's Bwindi Impenetrable National Park, and the other in the Virunga Mountains in three adjacent national parks, namely Uganda's Mgahinga Gorilla National Park, Rwanda's Volcanoes National Park, and Virunga National Park in the Democratic Republic of Congo. The IUCN Red List of Threatened Species, founded in 1965, has evolved to become the world's most comprehensive inventory of the global conservation status of biological species. It uses a set of criteria to evaluate the extinction risk of thousands of species and subspecies. These criteria are relevant to all species and all regions of the world, With its strong scientific base, the IUCN Red List is recognized as the most authoritative guide to the status of biological diversity. A series of Regional Red List are produced by countries or organizations, which assess the risk of extinction to species within a political management unit. Virunga National Park is a national park in the Albertine Rift Valley in the eastern part of the Democratic Republic of the Congo. It was created in 1925 and is among the first protected areas in Africa. In altitude, it ranges from 680 m (2,230 ft) in the Semliki River valley to 5,109 m (16,762 ft) in the Rwenzori Mountains. From north to south it extends about 300 km (190 mi), largely along the international borders with Uganda and Rwanda in the east. It covers an area of 8,090 km2 (3,120 sq mi) and is listed in the List of World Heritage in Danger since 1994. Volcanoes National Park lies in northwestern Rwanda and borders Virunga National Park in the Democratic Republic of Congo and Mgahinga Gorilla National Park in Uganda. The national park is known as a haven for the rare and endangered mountain gorilla and golden monkeys. It is home to five of the eight volcanoes of the Virunga Mountains, and spans 160 km2 covered in rainforest and bamboo. The park was the base for the zoologist Dian Fossey. Gorillas in the Mist , and the novel of the same name, document the work and death of primatologist Dian Fossey. The camp from which she operated, Karisoke Research Center, still exists in the Virunga Mountains. 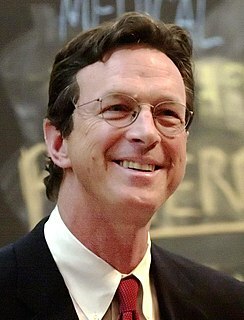 Congo is a 1980 science fiction novel by Michael Crichton. The novel centers on an expedition searching for diamonds and investigating the mysterious deaths of a previous expedition in the dense tropical rainforest of the Congo. Crichton calls Congo a lost world novel in the tradition founded by Henry Rider Haggard's King Solomon's Mines, featuring the mines of that work's title. Rwanda is located in central Africa, to the east of the Democratic Republic of the Congo, at the co-ordinates 2°00′S30°0′E. Dian Fossey was an American primatologist and conservationist known for undertaking an extensive study of mountain gorilla groups from 1966 until her 1985 murder. She studied them daily in the mountain forests of Rwanda, initially encouraged to work there by paleoanthropologist Louis Leakey. Gorillas in the Mist, a book published two years before her death, is Fossey's account of her scientific study of the gorillas at Karisoke Research Center and prior career. It was adapted into a 1988 film of the same name. The Karisoke Research Center in Rwanda's Volcanoes National Park was founded by Dian Fossey on 24 September 1967, to study endangered mountain gorillas. Fossey located the camp in Rwanda's Virunga volcanic mountain range, between Mount Karisimbi and Mount Bisoke, and named it by combining the names of the two mountains. Mount Muhabura, also known as Mount Muhavura, is an extinct volcano in the Virunga Mountains on the border between Rwanda and Uganda. At 4,127 metres (13,540 ft) Muhabura is the third highest of the eight major mountains of the mountain range, which is a part of the Albertine Rift, the western branch of the East African Rift. Muhabura is partly in the Volcanoes National Park, Rwanda and partly in the Mgahinga Gorilla National Park, Uganda. Mgahinga Gorilla National Park is a national park in southwestern Uganda. It was created in 1991 and covers an area of 33.9 km2 (13.1 sq mi). 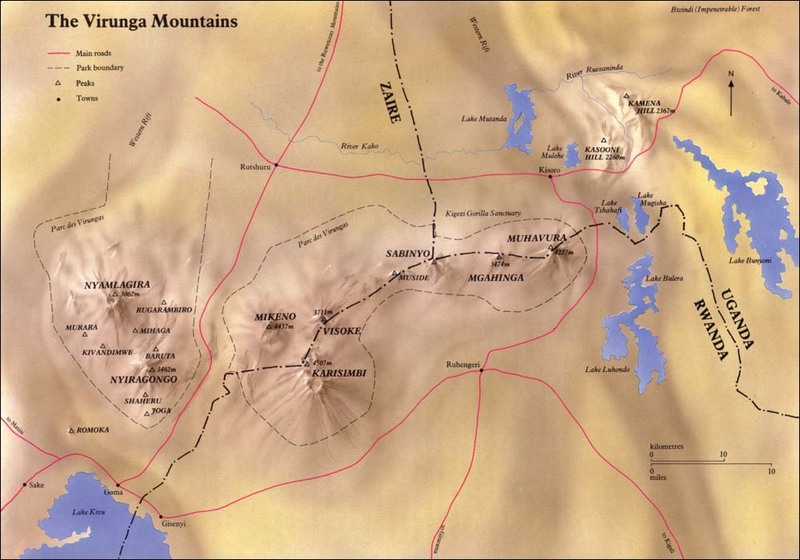 Mount Gahinga is a dormant/extinct volcano in the Virunga Mountains on the border between Rwanda and Uganda. Gahinga lies between Muhabura and Sabyinyo, but is the smallest of these three. Mount Gahinga, also known in the local Kinyarwanda/Rufumbira dialect as "a small pile of stones", has a swampy caldera on its peak. The caldera is believed to be about 180 meters wide. Mgahinga Gorilla National Park also got its name from this volcano. Mount Gahinga, whose elevation is 3,474 meters, is part of a chain of 8 volcanic mountains of the Mufumbiro ranges. The volcano chain spans across Uganda, Rwanda and the Democratic Republic of Congo. The eastern gorilla is a critically endangered species of the genus Gorilla and the largest living primate. At present, the species is subdivided into two subspecies. Grauer's gorilla, formerly known as the eastern lowland gorilla is more populous, at about 3,800 individuals. The mountain gorilla has only about 1000 individuals. The International Union for the Conservation of Nature mentioned illegal hunting in its assessment of threats to the species. The Dian Fossey Gorilla Fund International is a charity for the protection of endangered mountain gorillas. The Digit Fund was created by Dr. Dian Fossey in 1978 for the sole purpose of financing her anti-poaching patrols and preventing further poaching of the mountain gorillas. Fossey studied at her Karisoke Research Center in the Virunga Volcanoes of Rwanda. The non-profit fund was named in memory of Fossey's favourite gorilla, Digit, who was decapitated by poachers for the offer of US$20 by a Hutu merchant who specialized in selling gorilla heads as trophies and gorilla hands as ashtrays to tourists. Mount Bisoke is an active volcano in the Virunga Mountains of the Albertine Rift, the western branch of the East African Rift. It straddles the border of Rwanda and the Democratic Republic of the Congo, but the summit is located in Rwanda. 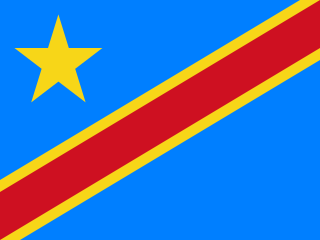 It is located approximately 35 km northeast of the town of Goma and adjacent Lake Kivu. The Bwindi Impenetrable Forest is a large primeval forest located in south-western Uganda in the Kanungu District. The forest is on the edge of the Albertine Rift, the western branch of the East African Rift, at elevations ranging from 1,160 to 2,607 metres. Mount Mikeno is a dormant volcanic mountain located in the Democratic Republic of the Congo section of the Virunga Mountains along with Mount Nyiragongo, Mount Nyamuragira, Mount Karisimbi, and Mount Bisoke. At 4,437 metres (14,557 ft) Mount Mikeno is the second highest peak in the Virunga Mountains after Karisimbi, and the 13th highest mountain of Africa. Mikeno means "poor" and is so named for its harsh slopes which preclude human habitation. The Ruwenzori-Virunga montane moorlands is a montane grasslands and shrublands ecoregion of central Africa. Wikimedia Commons has media related to Virunga Mountains .